Here it is, the one and only Fantasy Fire. 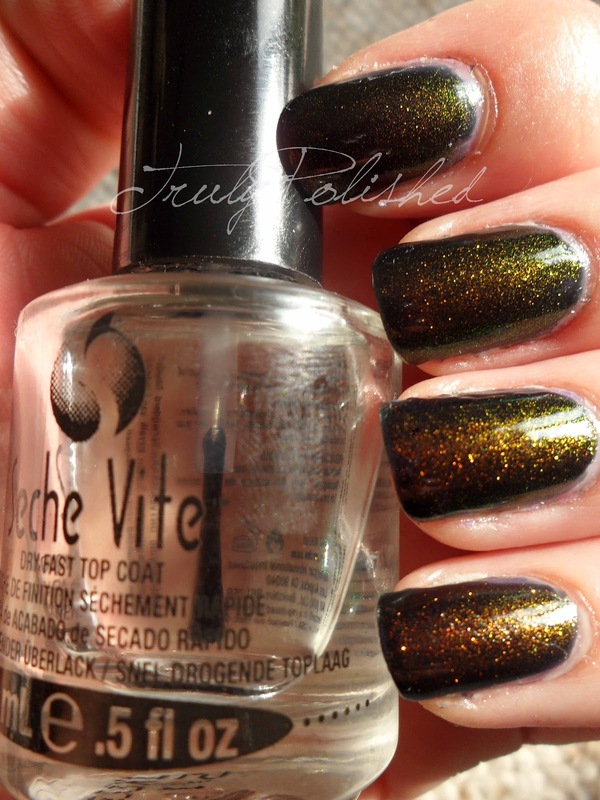 This polish has caused such a stir that it's almost impossible to get hold of! Luckily I live in a part of the country where there aren't too many nail polish fanatics, so I managed to pick it up and I'm so glad I did. It's fair to say I'm a little bit in love with it! I even got complimented on it last night at the gym which was lovely. Fantasy Fire is supposedly a near dupe for the legendary and long discontinued Clarins 230 which, sadly, I do not own. 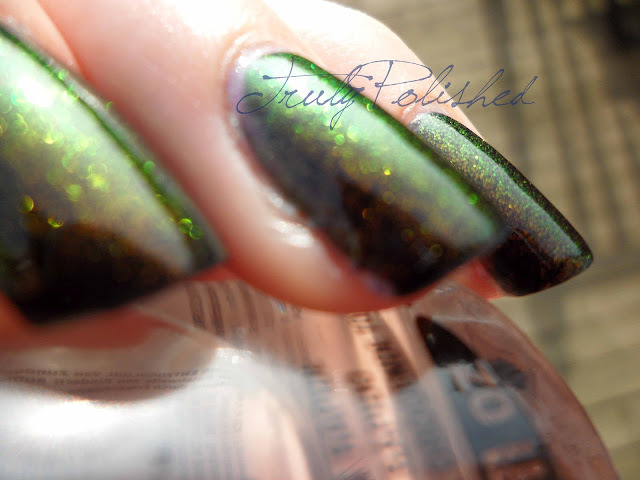 It has a multichrome shimmer that shifts from red to gold to green depending on the angle. It can be worn on its own, where you'll need about 4 coats (depending on your application) to get full opacity. Alternatively you can layer the polish over another shade, which is how I wore it. 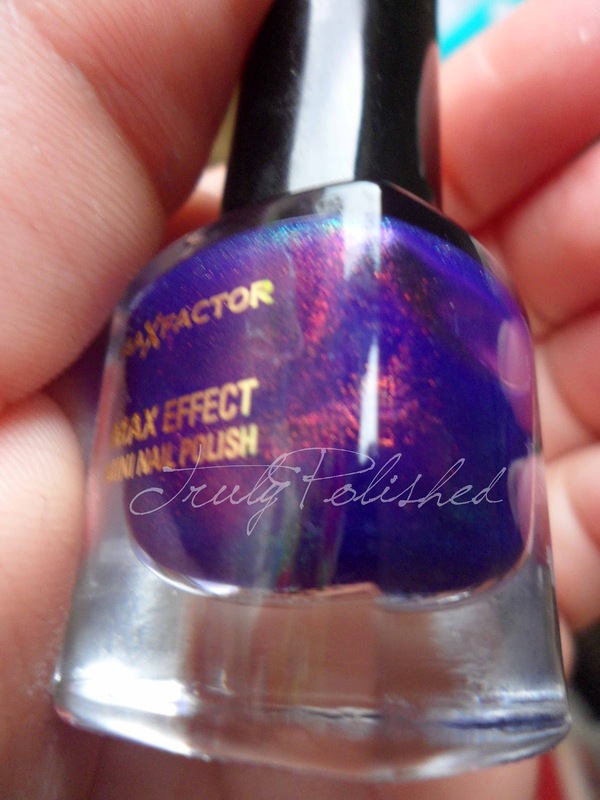 The base colour in Fantasy Fire is gorgeous, but I just can't stand having a visible nail line! 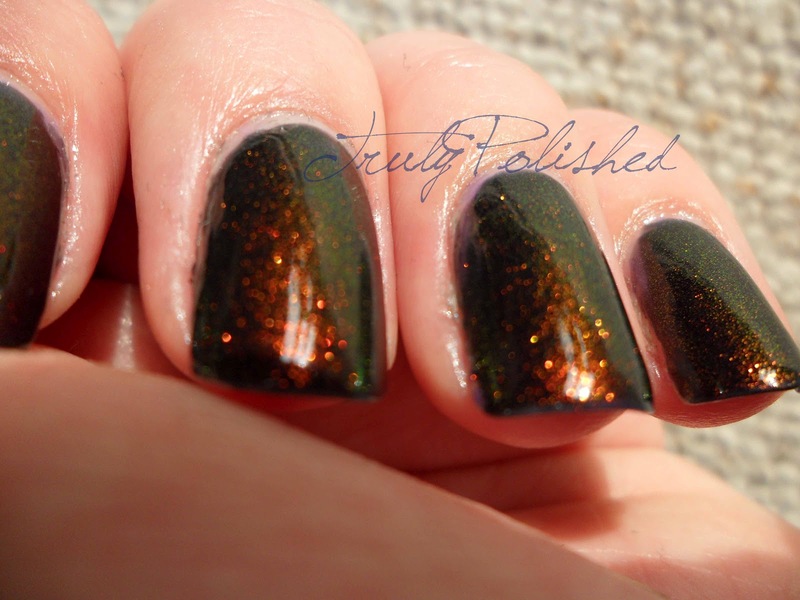 First I layered Fantasy Fire over black so the shimmer could take centre stage. Then I layered it over the most similar shade I had in my stash, which was Rimmel Lycra Pro Aqua Cool. 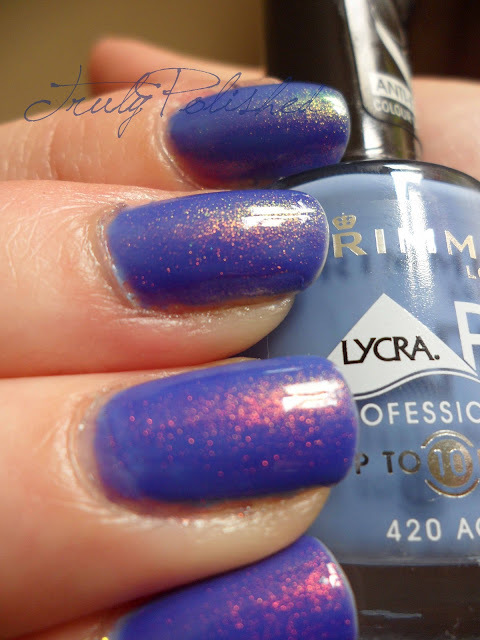 This is a cornflower blue polish that is lighter than the base colour in Fantasy Fire. Layering the polish like this means that the royal blue jelly base isn't hidden! 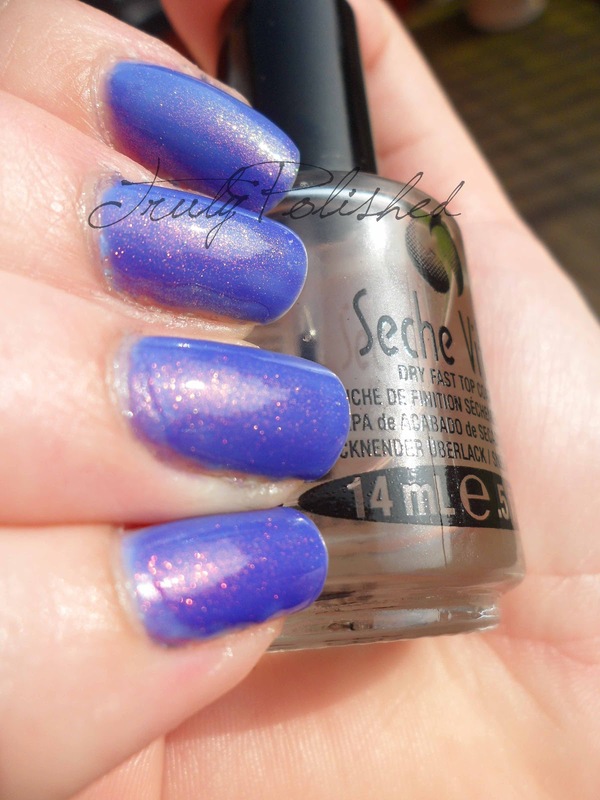 Click "Read More" to see my gorgeous swatches! In all of the photos I'm wearing two coats my chosen shade with one coat of Fantasy Fire. I've topped it off (of course) with a coat of Seche Vite to give it that classic glass-like appearance. Macro - Look at that shimmer! In the natural light, the shimmer looks amazing next to the purple! I think it's pretty clear what I think about this polish - I LOVE IT!!!! You can find this in your local Boot/Superdrug/Supermarket or online, where it retails for £3.99. so beautiful but I swear it must be a UK exclusive, I cant find it in any max factor and I've looked in three different countries! I have no idea if it is only available here... I know you can't get it in the USA but I thought you probably could in other places!